The media bias is so bad this year that even China’s state media says the US mainstream media is totally biased against Trump. Even Communist China can see our mainstream media is crap. 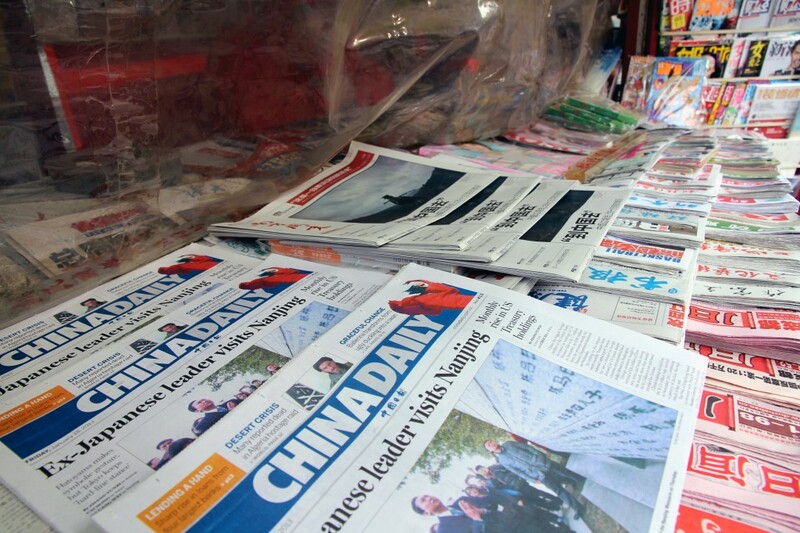 The US mainstream media have “totally discarded” their “so-called objectivity and fairness” in supporting Hillary Clinton and “disparaging” Donald Trump, China’s state media alleged on Sunday. In an editorial, the Global Times criticized the “ugly unity” of the US mainstream media, which it said had “heavily hyped up Trump’s insulting comments against women, while only scratching the surface of Clinton’s e-mail scandals.” Citing “statistics from the US,” it also said that 30 out of the top 100 US dailies backed Clinton, while none were on Trump’s side. Trump’s campaign has been left reeling after a 2005 video that resurfaced last week showed him talking about seducing a married woman, and saying women let celebrities like him do anything, including grabbing their “p****.” In addition, several women have recently accused him of sexually assaulting them.